●Customer Service： 1. Office hours: Monday to Friday 9:00am to 3:30pm (Pacific Time). 2. We will reply your message within 24~48 hours. ● Shipping： 1. Monday to Friday (orders placed before AM8:00) will be shipped within 24 hours. 2. Orders placed after Friday AM8:00 or national holiday will be shipped on the coming business day. 3. Buyers responsible for all custom and brokerage fees for shipments outside of the United States. ●30 Days Money Back Guarantee： 1. 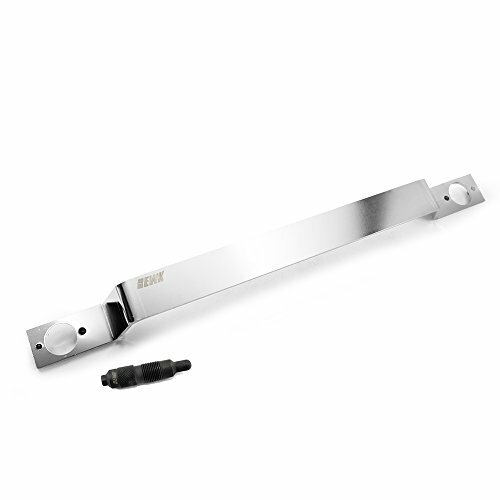 Customer MUST contact us within 30 days after the purchasing. 2. Item must be sellable condition with the original packaging. Fees may apply if item is determined as not original condition. 3. Buyer should be responsible for the return freight. 4. 20% restocking fee is NON-REFUNDABLE under any circumstances. ● Warranty： 1. Most of items which were marked "warranty" on the selling page apply to the warranty policy. Some item is not included. 2. Warranty period: 1 year 3. The warranty only covers the defects under normal use. 4. The warranty DOES NOT cover the defect was subjected to misuse, negligence or accident. 5. The warranty DOES NOT cover consumable parts. 6. EWK reserves the right of final decision. 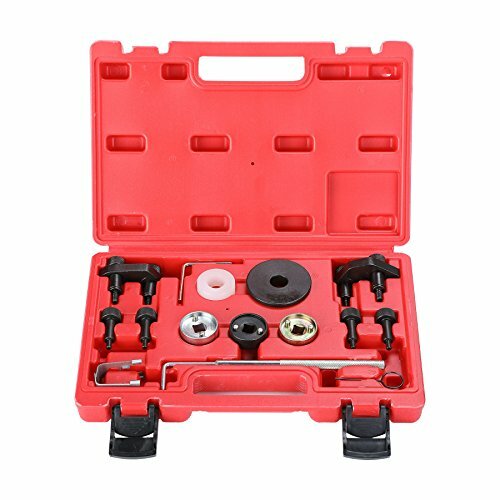 When you need to perform front-engine repairs, use the ABN Engine Timing Tool Set. 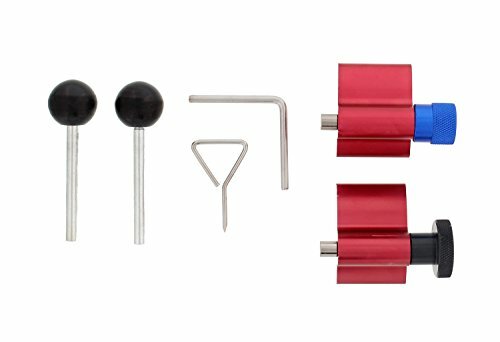 This set is specifically designed for belt driven diesel engines. 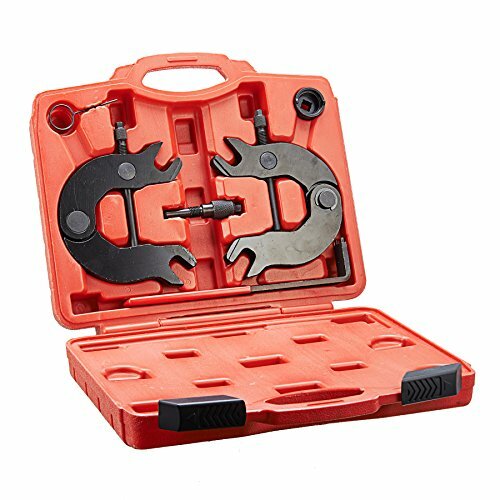 It includes 2 belt tools, 2 holding pins, and 2 versions of the crank locks for both bored and non-bored engines. 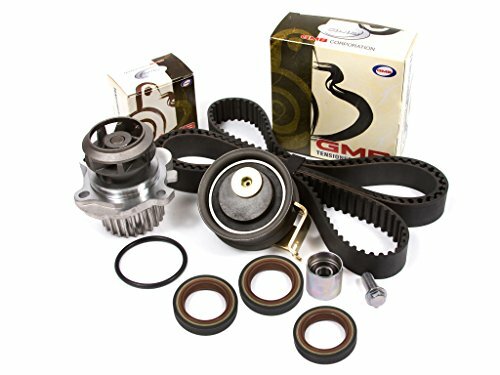 Fitment applications: Audi - A2 1.4 TDi PD (2002-06), A3 1.9, 2.0 TDi PD (2002-08), A4 1.2 TDi (2002-05) A4 1.9, 2.0 TDi PD (2004-08) A6 1.9 TDi PD (2002-05) Seat - Altea 1.9SDi/TDi (2005-08), Leon 1.9, 2.0 TDi PD (2005-08), Toledo 1.9 TDi PD (2005-08), Skoda - Fabia 1.4 TDiPD (2003-06), Octavia II 2.0 TDi PD (2003-06), VW - Beetle 1.9 TDi PD (2002-08), Bora 1.9 TDi PD (2002-08), Fox 1.4 TDi PD (2002-08), Golf 1.9 TDi PD (2002-08), Lupa 1.4 TDi PD (2002-08), Polo 1.4 TDi PD (2002-08), Sgaran 1.9 TDi PD (2002-08). 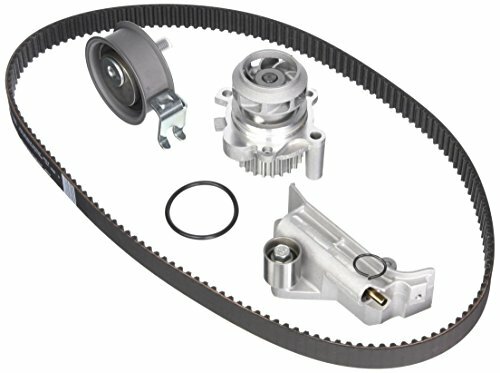 This item includes:• 1 Contitech Timing Belt (253 teeth)• 1 GMB Tenisoner Roller (bearing assembly)• 1 GMB Idler Roller Bearing• 4 Camshaft Seals (32 x 47 x 10)• 1 Front Crankshaft Seal (35 x 48 x 10)• 1 GMB Water Pump with GasketPart Numbers:• TBK297(C)-GMB, WP180-2120, 4 = 32 x 47 x 10, 1 = 35 x 48 x 10Product Fitments: 1998-1999 AUDI A4 QUATTRO 2.8L 2771CC V6 DOHC, (30 VALVE), ENG. CODE "AHA" 1998-1999 AUDI A4 2.8L 2771CC V6 DOHC, (30 VALVE), ENG. CODE "AHA" 1998-1999 AUDI A6 QUATTRO 2.8L 2771CC V6 DOHC, (30 VALVE), ENG. CODE "AHA" 2000-2001 AUDI A6 QUATTRO 2.8L 2771CC V6 DOHC, (30 VALVE), ENG. CODE "ATQ" 1998-1999 AUDI A6 2.8L 2771CC V6 DOHC, (30 VALVE), ENG. 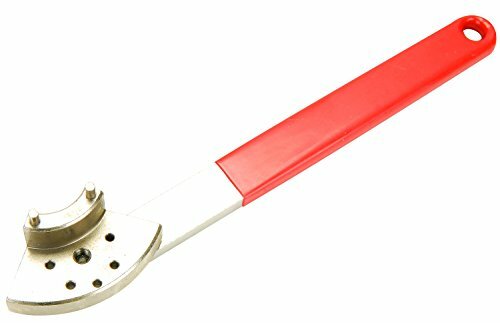 CODE "AHA" 2000-2001 AUDI A6 2.8L 2771CC V6 DOHC, (30 VALVE), ENG. 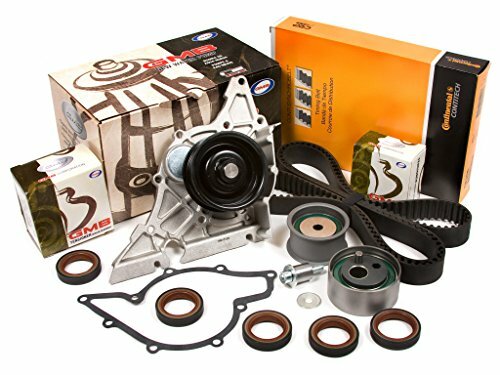 CODE "ATQ" 1998-1999 VOLKSWAGEN PASSAT 2.8L 2771CC V6 DOHC, (30 VALVE), ENG. 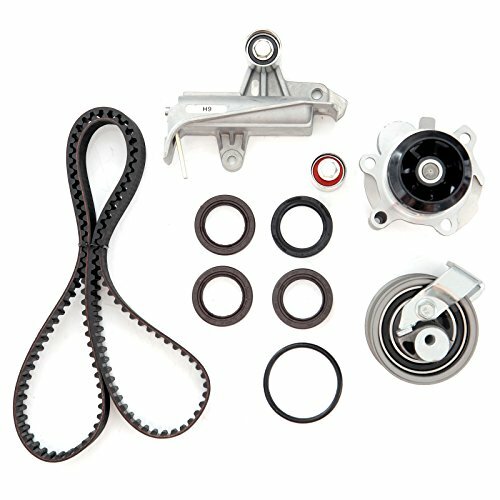 CODE "AHA" 2000-2005 VOLKSWAGEN PASSAT 2.8L 2771CC V6 DOHC, (30 VALVE), ENG. CODE "ATQ" 2001 VOLKSWAGEN PASSAT 2.8L 2771CC V6 DOHC, (30 VALVE), ENG. 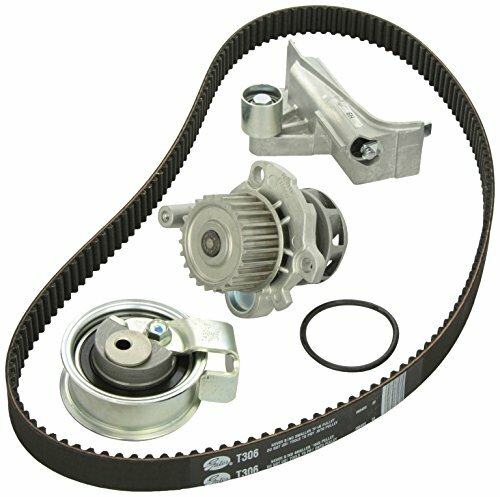 CODE "ATQ, AWM"
Compare prices on Audi Timing Belt at ShoppinGent.com – use promo codes and coupons for best offers and deals. Start smart buying with ShoppinGent.com right now and choose your golden price on every purchase.